The new record - which will be her sixth studio album - will be out in autumn 2019. Folked-up and infused with brute soul, the album is heavy in beats and bass. "It's built on a quite different tonal and chordal structure than usual", says Wallis, "and I've tried to flood it with love, questions and understanding. I'm trying to make sense of the socio-political new world that we're living in, and finding a way to heal myself". Wallis' career has drawn respect from critics and audiences alike. She's played hundreds of headline shows over the past decade or so all over the world. She's a two-time Meteor Award winner (national Irish music prize), a two-time Irish Choice Prize nominee, and a nominee for Artist of the Year at the American-based Folk Alliance International Awards 2019. Well known for her energetic performances, she has an unusual ability to bind audiences with her musical spells; inciting the crowds to join in rousing sing-a-longs as she shares her happiest emotions, or observe pin-drop silences as she expresses her deepest hurts. 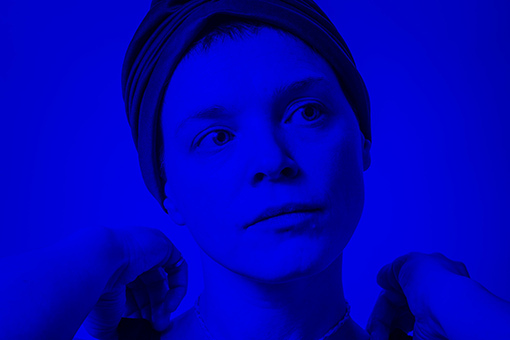 A Wallis Bird concert is unlike any other, and festival performances or support shows in front of brand new audiences always result in a slew of new fans. While Wallis has frequently toured with a band, she's one of those rare artists whose stage presence - and jaw-dropping musical prowess - can fill huge rooms and venues on their own. With this in mind, and the heightened intensity that a solo performance brings to audiences, the 2019 New Moon Tour will be completely solo. "As much as I adore playing with a band," says Wallis, "I've decided to finally plant a flag in the ground, go completely solo and highlight what I'm best at. I'm in my element when I can fill the stage and bring the audience together. I love it and I love working hard at it! I can't wait to share new anthems and songs, and of course reminisce over the golden-oldies. I cannot wait!"